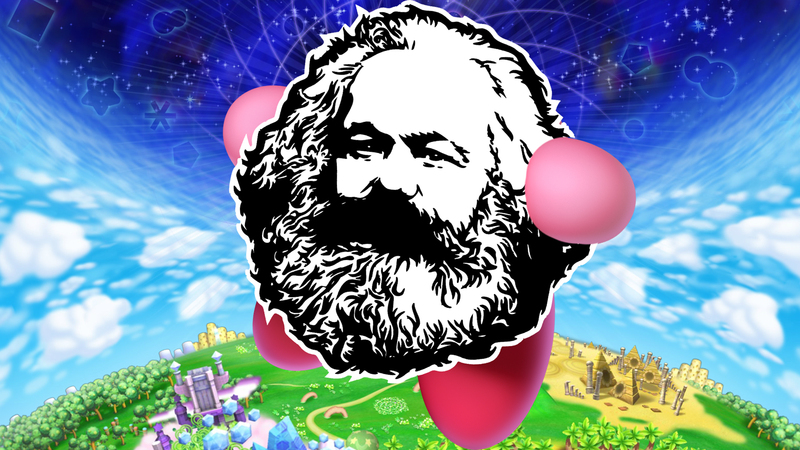 Kirby fans and comrades alike will be pleased to know that revolutionary German philosopher Karl Marx was announced as a playable character in Kirby Star Allies during tonight’s Nintendo Direct. The colourful platforming adventure game promises the return of many classic Kirby characters playable in up to four-player co-op on the Nintendo Switch, including Blade Knight, Sir Kibble, and father of modern Communist theory, Karl Marx. The game’s story mode will take Kirby to Dream Land, where he absorbs a Dark Heart and is granted the ability throw printed segments of Socialist theory at his friends to recruit them as comrades for the Planet PopStar Revolution.